Police say a Brazil woman died Saturday after crashing her vehicle in Northern Vigo County. Rhonda L. Payne, 41, succumbed to her injuries at Union Hospital in Terre Haute. 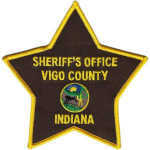 The Vigo County Sheriff’s Office reports that Payne was driving her 2005 Ford Escape east on Kyle Avenue, which is in northern Vigo near its borders with Clay and Parke counties, when she veered off the road and struck a tree. She was transported by Trans-Care Ambulance to Union.